RF generates heat deep inside body and accelerates fat metabolism to release liquid fat from fat cells. This thermal effect stimulates collagen regeneration and skin tightening. 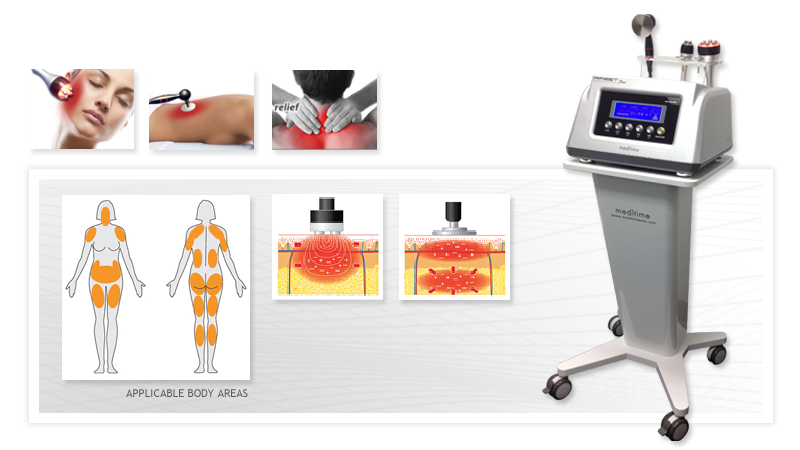 RF is developed using cutting – edge technology of radio frequency system for face, body, fat and muscle. From the two electrical poles between RET Monopolar Probe and Plate, heat is generated. This heat flows from the deep inside to the surface of the skin.